Values cannot be speedily forgotten if it is inconvenient or commercially expedient. 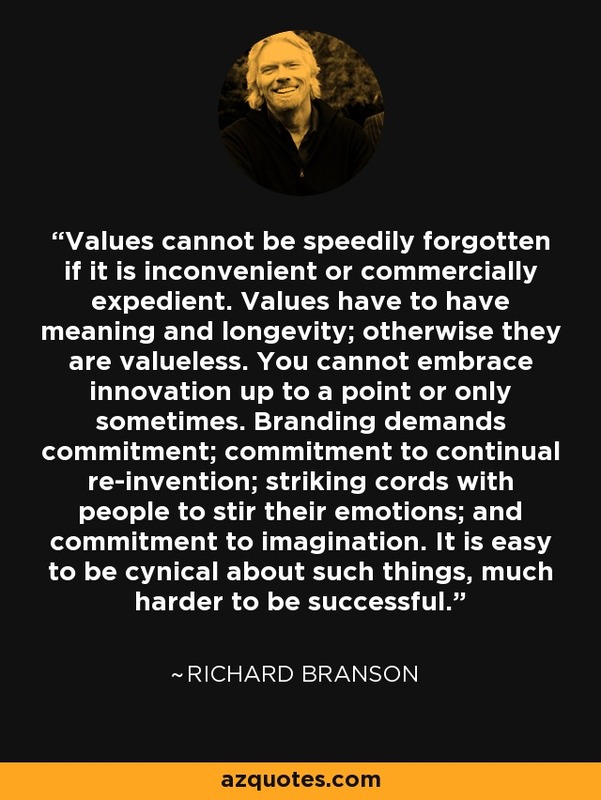 Values have to have meaning and longevity; otherwise they are valueless. You cannot embrace innovation up to a point or only sometimes. Branding demands commitment; commitment to continual re-invention; striking cords with people to stir their emotions; and commitment to imagination. It is easy to be cynical about such things, much harder to be successful.